Today's contrived attempt at "neo-classical" music is admirable, but flawed at best. Any musician with some strings and piano is slapped with the tag, sometimes without the slightest bit of effort. Music that flows and moves beautifully because of the aformentioned instruements is seen as some transcended classical movement, even when thoughtful composition takes a back seat to style. Today, many of the hype surrounds more minimalistic artists with ambient overtones. As beautiful as this music may be, it lacks the intensity of what true classical music has. Famous composers of the past imbued their brilliantly crafted music with a fiery passion most musicians can scarcly muster. Carlos Cipa, on the other hand, does so masterfully. Carlos Cipa is merely 22 years old. From Germany, Cipa has been playing the piano for quite sometime, as evident by his masterful presentation. The Monarch and the Viceroy, Cipa's debut, is a piano album that has all of the above traits: beauty, intensity and intelligence. 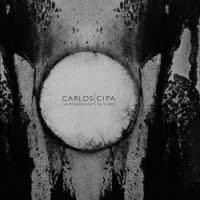 Cipa does not use floaty and insubstantial tricks to lull the listener into feeling false complexity, but rather, he hits the music head on with a wonderful tenacity. The Monarch and the Viceroy is piano music through and through; an intimate outing with the instrument of which Cipa has a glorious understanding. The lovely production ensures that the piano is the only thing effecting the music, as the bare bones sound allows for only the keys. Piano offerings in today's music scene are simple and light, overall a very digestible album for most listeners. Cipa very lovingly has crafted the songs present, so that each stands as a challenging and interesting piece of music. The album opens with the staggeringly strong one-two punch of "Perfect Circles" and "The Whole Truth." True, these songs are densely layered and very emotive, but they have a "catchiness" that is nigh impossible to describe. These songs--as well as the others--stick with you long after the music has stopped, and that is a testment to excellent songwriting. The Monarch and the Viceroy is the sound of an instrumental musician making a statement, and one well worth hearing.